MRSA – Methicillin Resistant Staphylococcus Aureus is responsible for approximately 10% of Healthcare associated infections (HAI). Rates of blood stream infection with MRSA have fallen right across the EU over the past 10 years. However rates of MRSA colonisation are unknown as there is little monitoring of colonisation rates especially in long term care facilities (LTCF). The research available would suggest rates of MRSA among residents can vary from 8.6% (Bode et al, 2010) to 78% (Cafferkey et al, 1986) in Ireland. Does MRSA colonisation really matter? MRSA colonisation of itself causes no symptoms or issues for the person who is healthy and well. Unless the resident is due to have surgery in the near future there is no concern. Should Nursing homes and care homes decolonise their residents? Provided the resident doesn’t have an active leg ulcer or post operative wound, there are few reasons to decolonise. Indeed research has demonstrated that residents in care home settings are likely to be recolonised within 4-5 months. Screening routinely for MRSA in the non acute setting is not considered necessary. However when residents are being scheduled for elective surgery such as cataract extraction and joint replacement, MRSA screening is essential. Patients colonised with MRSA are much more likely to develop a serious infection following surgery than those who do not have MRSA. Screening should be carried out a few weeks before surgery to allow for decolonisation if necessary. Better hand hygiene compliance rates means lower rates of transmission of resistant organisms. Auditing of compliance with hand hygiene is a necessary quality initiative in every healthcare facility. Tracking improvements over time can demonstrate management and staff commitment to improving practice. Care homes and Nursing homes and long term care facilities are no exception.Yet they have fewer resources and their community based IPCNs can have hours to travel between the numerous healthcare settings under their remit. 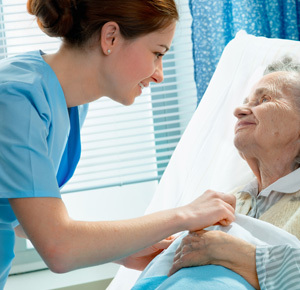 Residents of long term care facilities are, by their age and existing co- morbidities not only more likely to acquire infections, but also much more likely to develop serious complications from infections. Hand Hygiene Saves Lives – Putting resources into improving hand hygiene will save lives, save time and it will save you money.